In my 6th month of pregnancy, my OBGYN got worried that I wasn’t gaining enough weight – in fact, I’d lost some weight that month. 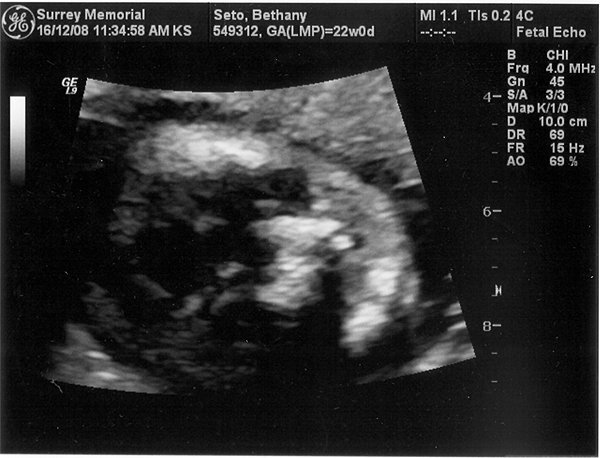 So he sent me for a series of ultrasounds to monitor the growth of my precious baby. He also told me to stop working – I was not exactly on bed rest, but needed to reduce stress as much as possible. I had been planning to quit my job anyhow, because we were moving to the Bay Area, but I had not been planning to quit 6 weeks before our move. (We were scheduled to move a month before the due date to allow us to find a doctor and get settled before the big day.) Luckily, I was able to go on short-term disability, which allowed me to rest and have time to go to all those ultrasound appointments. The ultrasounds showed that the baby was healthy and strong, but was very tiny and was growing very slowly. At 34 weeks, she hadn’t grown at all for three weeks, so my OB told me I was to report to the hospital that afternoon for induction of labour (side note: it was Friday, the 13th of March, and my sister’s birthday). We had been planning a farewell party for ourselves the following day at our house, so we quickly called some people and told them the party was cancelled. We also called our families and gave them a heads up – there would be a baby in the next few days. The week that followed was long and boring. Sure, I had some great visits with my sisters and mom, but the induction just wasn’t working. My sisters eventually went home without meeting their niece as they had hoped. The baby was being monitored every 4 hours (even at night) and I was getting tired of lying around in the hospital. On Thursday, 6 days after being admitted, I didn’t see the doctor all day. It was such a busy day for births that they couldn’t afford for me to go into labour, so they didn’t give me the induction meds. When the doctor on duty finally came to see me at 9pm, she gave me two options – keep waiting it out, or have a C-section the following day. My OB was willing to stay late to do the operation, and there was a room available at 3pm on Friday. After some discussion, I decided I was ready to be done with the waiting. The next day seemed to last forever even though people had come to visit. Then suddenly, the nurses were there and it was time to get gowned up. OMG, I was going to have major surgery and our baby was about to be born! I hadn’t even considered the idea of a C-section during our birthing prep class. I was going to have a normal birth, with all the huffing and puffing. Our baby was small, so it would be super easy to just push her out. Piece of cake. Uh huh. The best laid plans and all that. I was nervous going into the operation room. It was a huge stroke of luck that my OB was available. I’d liked him right from the beginning, and I knew he was good at his job. 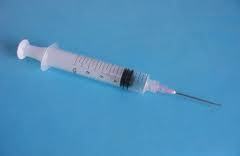 But I don’t really do that well with needles. I also have a tattoo (elephant) on my low back (tramp stamp location) and it turned out that it was in the exact place where they wanted to inject the anesthetic into my spine. They had to start the needles above the tattoo (thank goodness it’s not that big), which resulted in me being numb right up to my lips by the time they were done. Getting the needles into my spine proved to be a challenge. I kept getting light-headed and almost passing out. My blood pressure was dropping alarmingly, and the anesthesiologist was concerned for me. So they finally laid me down and helped me to curve into a ball so they could finally get me frozen. Then, it was a total breeze. My legs felt like they were spread wide, even though they were right beside each other on the narrow gurney. They just couldn’t feel each other. The doctor got right to work slicing me open. He was joking around at the same time as being completely professional with the nurses. He warned my Sweetie (who had been admitted to the room after they laid me down and put up the curtain between my face and the proceedings) when he was about to pull our baby out, and Sweetie stood up and took the best picture of our little girl protesting the sudden change in her circumstance. I’ll spare you the photo – it’s a bit gory. When the Bean was born, she was admitted to the NICU almost immediately after being pulled from my belly. After cleaning her up and doing the initial weigh and measure (under photographic supervision by Sweetie), they brought her up to my face and let me touch her. The nurse held on tight because I was in no condition to safely hold a baby, and took her away much too quickly. The doctor sewed me up while telling the nurse about his plans for going to the gym after work (for some reason, I found this highly amusing), and I was wheeled to a recovery room until I could wiggle my toes. I felt like Westley from The Princess Bride after his encounter with the machine that sucked out his life. I could think, although my head was fuzzy, but I couldn’t move. I concentrated very hard on getting those toes to wiggle – I wanted to see my baby. The nurse who was keeping an eye on me was kind and understood my need to get into the nursery. As soon as was humanly possible, she signed the order for me to go. I was still lying on the hospital bed. I didn’t have the strength to get up, and besides, I had a 6-inch incision across my lower belly, so any movement was impossible. 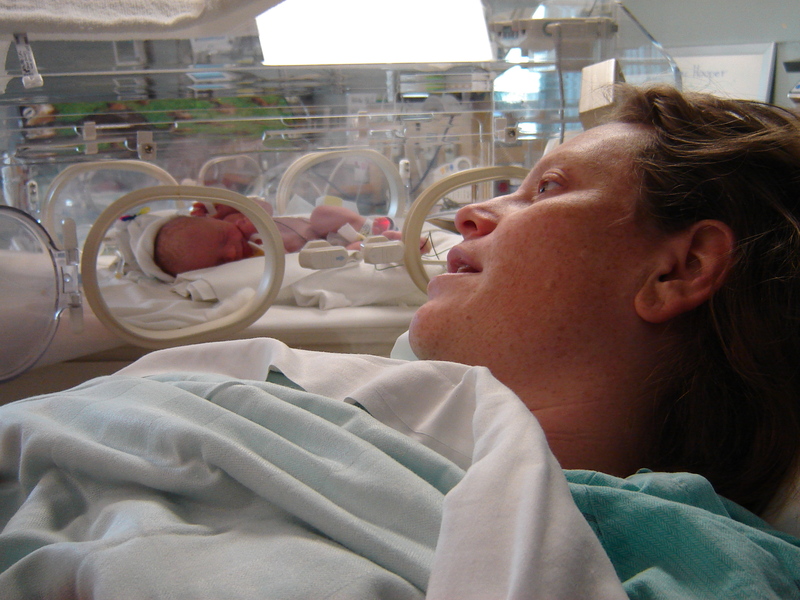 But I turned my head to see my tiny daughter in her incubator, and was able to reach my hand through the side holes to touch her skin. This time I was the one who was ripped away much too quickly, but I’d just had a major operation and needed my rest. That night was brutal. I was on some pretty strong pain meds, and this really sweet student nurse kept coming in to see how I was doing. It took a while for the feeling to come back to my whole body, and when it did, even the pain meds couldn’t help me if I tried to move. The nurse kept asking me if I could try to sit up. Every time I tried to move, I would get light-headed. I finally made it to the sitting position, but couldn’t get off the bed. I can’t remember exactly why, but it was important that I be able to get up and go to the bathroom – they needed me to have a bowel movement before something else could happen. That night was a bit fuzzy. What I DO remember very vividly was what happened when I finally managed to get out of bed. The nurse had come to check on me, and I told her that I thought maybe I’d been sweating a lot because my bed was really wet. When she took a look, it turned out that the tube had fallen off my catheter, and urine had been draining out of my bladder straight into my bed. I was lying in a pool of pee. Lovely. Even at the time, I found this morbidly hilarious. It was clear that I now needed to try to get out of bed so the sheets could be changed. I very slowly made my way up to sitting with the help of the mechanics of the hospital bed, and the nurse helped me to stand up and change my gown. I shuffled across the room to my bathroom and managed to sit down on the toilet. I was feeling very nauseous and light-headed sitting there. Suddenly, the garbage can became a puke bucket. I’d insisted on eating earlier in the evening (they wouldn’t let me eat until I passed gas – yah, gross, I know) and of course cheese and crackers were on the top of my wish list. Well, there went my snack. I collected myself and when the bed was ready, I stood up to make my way back to bed. Halfway between the bathroom and my bed, I tossed my cookies again, all over the floor. That’s when Sweetie woke up. The cleaning folks came and took care of the mess immediately and I went back to bed feeling kinda sheepish about the cheese I’d insisted on. Perhaps some plain saltines would have been more appropriate, but I hadn’t eaten in 24 hours. We made it through the rest of the night without further mishap, and then my new life as a mother truly began. Posted in Back-story, Birth, Hospitals. Bookmark the permalink. I am a first-time blogger and a Stay-at-Home mom. I live in the San Francisco Bay Area with my husband and daughter. I think that I didn’t really understand what you had gone through with Jenna in the NICU for so long. I know I still don’t fully understand, but hearing it again, and now being a mom too, I think I’m empathizing with you again for the first time. I’ll get more into the NICU stuff in the next post. I had forgotten that you were planning on moving to another country at 8 months pregnant and that you were admitted the night before your party. I’m sure it wasn’t at all how you imagined things would transpire. Thanks for sharing your story. Is there a part where Devon flies back and forth while he starts his job? I will have to keep reading to find out! Things the Bean Does That Bug the Heck Out of Me!